Bellator 208 was an excellent show and brought the promotion's double back-to-back event weekend to a glorious end. The triumph of the legendary Fedor Emelianenko over the 'American Gangster' Chael Sonnen saw the fans come alive and cheer him. The result means that Emelianenko is set to face Ryan Bader in the final of the Bellator Heavyweight Grand Prix. The two will fight for the title in the main event of the January 26 event in 2019. Bader's victory was a hard-fought one as well, as he dominated Matt Mitrione in Bellator 207, the night before Bellator 208. You can read the full results from Bellator 207 right here and the results from Bellator 208 here. 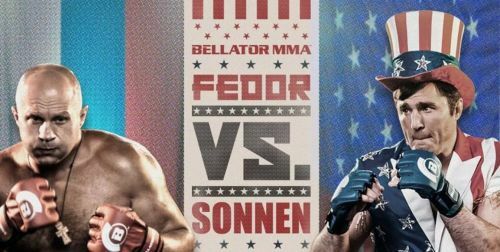 In the main event of Bellator 208, the two fighters met in a fight that had been hyped up, as the 'American Gangster' Chael Sonnen had been his usual self when it came to talking up his own chances in the fight, while Fedor remained silent. The night saw the main event end in the very first round, with 14 seconds to go, after Fedor dominated Chael in an excellent showing. Sonnen put up a fight as well, but it was not enough for him to win the semi-final against a legend like Fedor. Zarrukh Adashev dominated in his fight, but will it count? Zarrukh Adashev picked up a huge win over Christian Medina in the pre-show in the first round, and nearly the first minute, with the fight coming to an end at one minute and eight seconds into the round. Adashev picked up the crucial TKO when Medina could not answer any of his blows and was just getting hit over and over again, leaving him crumpled at the side of the cage. The question that arises from this win is something else, as there remains a small chance that the fight might be turned over due to an illegal knee that Adashev landed at the end of his flurry. Medina was already down when the blow came in, and although he could have won it anyway, Adashev might regret the last strike that he threw.